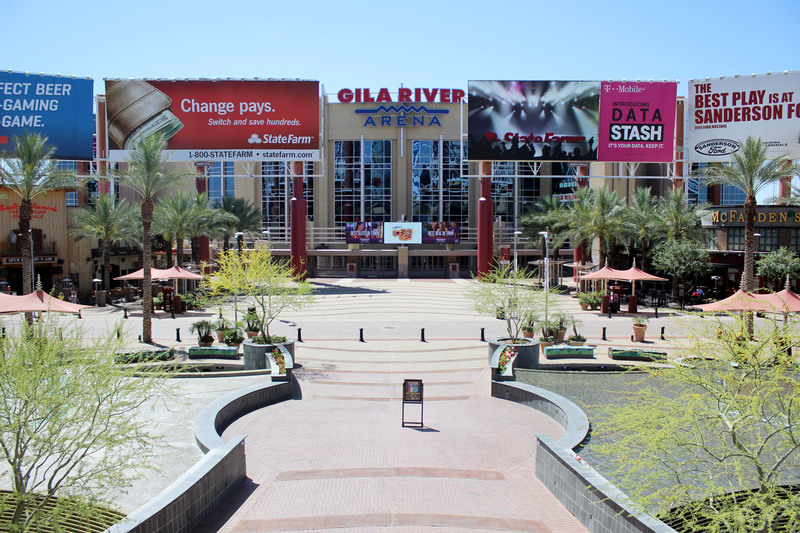 After the Super Bowl, what’s next for Glendale? Fast forward to 2015, and the picture was very different. 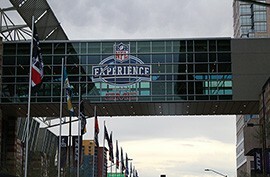 While the game was still held at University of Phoenix Stadium, the party moved to downtown Phoenix, where 1.2 million people went through the area for the NFL Experience and Verizon Super Bowl Central. “During the week, downtown Phoenix and Scottsdale were where all the parties were at,” said Scott McIntire, general manager of McFadden’s in the Westgate Entertainment District. McFadden’s was one of several businesses in Glendale that saw a huge boost in sales during Super Bowl week. Westgate saw a 350 percent increase in business, according to Jean Moreno, program administrator of economic development for the city of Glendale. One business even saw a 720 percent increase versus traffic in a typical week. While this was a good sign, other business owners felt the impact of those bigger events cut in to what would have been an even bigger payday. In Glendale, the city is already looking ahead to putting in a new bid for the big game. One area of focus will be the relationship between the city and the league. The two did not see eye to eye on several issues. Neither did Mayor Jerry Weiers with the state Legislature. Weiers said before the game the city was due to lose $1.2 million from hosting the game. He sought funding from the Legislature to cover public safety costs. With the College Football Playoff Championship National Championship Game and the Final Four coming to Glendale in the next two years, the money becomes an even greater priority. Another aspect of building that relationship is through community engagement. Building that relationship is something McIntire also wants to see done for his business’ sake as well as Glendale’s. It’s 17 miles from downtown Phoenix to University of Phoenix Stadium, and the primary way to get between the two is by car. That distance, combined with other factors, made local residents wary of taking part in the Super Bowl experience. While there is demand for a more centralized area in Glendale, as it was in 2008, city representatives say it may not be in Glendale’s best financial interest. This Super Bowl saw an emphasis on regional cooperation. For future events, that appears to becoming more of the norm. Still, it’s an issue that is too important to ignore. 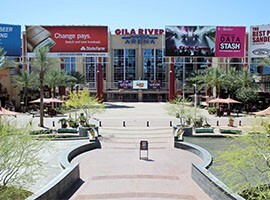 Unlike in 2008, when Glendale hosted both the Super Bowl and NFL Experience, the city was left with just the game in 2015. 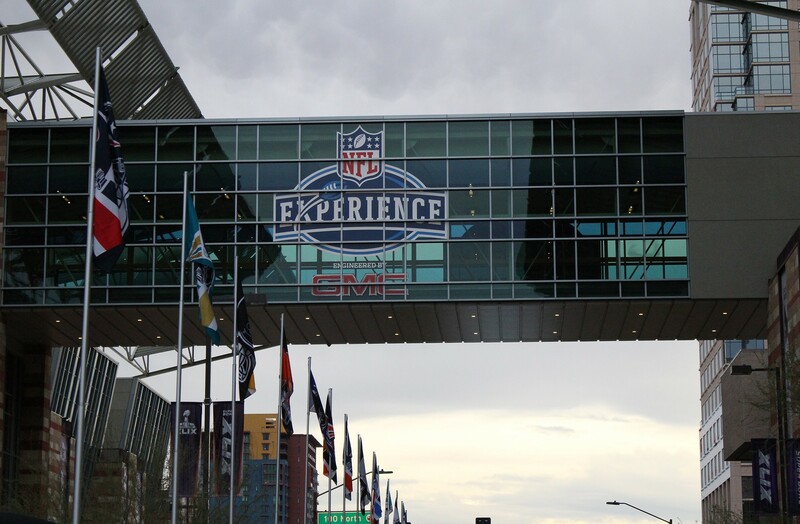 Glendale officials reflect on their experience with Super Bowl XLIX and look ahead to future mega events. Westgate Entertainment District in Glendale saw a big boost in business with the Super Bowl, but business owners say not having the NFL Experience there hurt their profits.